New to backup? Choosing the right backup method is one of the most important decisions you need to make when protecting your business-critical data. Learn how to develop an effective backup and recovery plan for your business-critical systems, and find out about the differences between the most common backup methods available, including incremental backup, differential backup, mirror backup, and full backup. Already have a backup plan? Strengthen your strategy with these best practices and useful tips! 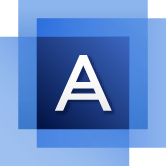 Acronis Recommends! For cost-effective, efficient, and—most importantly—reliable backup, we recommend combining regularly-scheduled full system image backup with daily incremental or differential backup. Who is responsible in a disaster scenario? Can I easily recover larger amounts of data from my cloud storage? Can I restore a system to hardware of a different make/model? When I restore a computer or server, will I have to reconfigure and re-install items manually? Can I easily restore multiple systems at once? What happens if an employee’s computer crashes on the road? Can I restore servers located in another office or location? Can I perform full bare-metal recovery easily? Acronis Recommends! Test your DR plan regularly to ensure that your procedures are up to date, easy to follow, and accessible to your DR team. Save time and money by choosing a backup solution that can easily restore a system to new, dissimilar hardware (even a different make/model). 1. Keep it simple - Save time and effort by finding a solution with a fast installation, an exceptionally easy-to-use interface, and seamless integration with your current system setup. 2. Make it scalable - Look for a flexible backup solution that combines incremental and differential backup and can grow and evolve along with your business. You don’t want to replace your backup strategy every time you expand or upgrade your infrastructure.